You can easily get a competitive advantage by applying the latest insights from the area of sales, consulting and management of change. 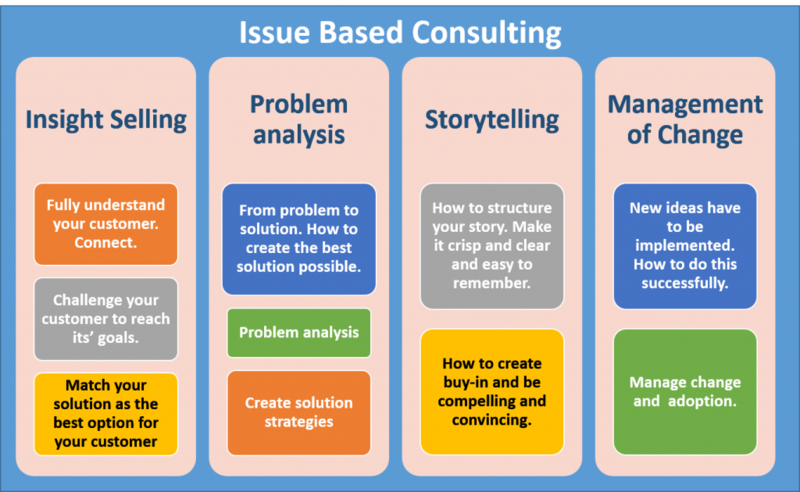 ConsultingMethodology applies these insights in the already successful training Issue Based Consulting. Some last seats are still available for the next training in Munich, June 13-16. The training Issue Based Consulting is already successful for years, receiving high ratings from the participants. In 4 days the training covers these 4 topics. How to challenge your customer by creating isights that will get him closer to his goals and how your idea will help him. How to solve complex problems fast and easy. How to convince your customer with a compelling story. Even for complex matters, you can create an easy story customers will understand and remember. You can apply these techniques in presentations, in reports in articles and memo’s. How to create adoption for your new ideas and solutions.